We are so busy, I don’t even know where to start. I have not post for awhile because the work has been non stop! But that is a great problem to have. So no complaints here. I will tell you about The Fairview. Our design for the new “1908” restaurant is complete and orders are being placed. Construction will be in early January. I’m very excited about this! It is going to be beautiful. He wanted it just a little more…..contemporary and unique. 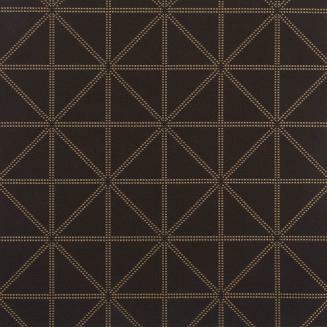 We have picked up on the classic pattern that is on the architecture of the building and are using it as our tie in. I will attach something in the pattern to show you what I mean. It is instantly recognizable. On my last trip to New York I saw the pattern everywhere. –from The Metropolitan Museum of Art interiors to the radiator in my hotel room. Reminds me of the British Flag. My design for the Food Court Wars food court restaurant PO BOY STATION. One of the two food court restaurants we designed for the new Food Network series, FOOD COURT WARS, was Po Boy Station. The young couple, Erica and Stevo, had a fabulous idea for New Orlean‘s style PoBoys. for more detail on both stories, go to http://www.foodnetwork.com/foodcourtwars . I will be talking about the design concepts and how we built them over two nights! It is about bringing the chef’s food concept to life. The food court restaurant is fascinating to design, because it is a mini version of restaurant design. I’ll explore this in the next 2 or 3 blogs. We originally had planned to extent the building out toward the street and double the dining area. This drawing shows that extension. It would have been terrific, but the city was expanding the street and would not allow my client to expand. So we went to plan B and worked with the space we had. This is our original plan to enlarge the dining area and add French doors at the front of the building. I think it would have been wonderful to do it this large, but the smaller cafe’ came out so charming, that I am very happy with the end result. Just thought you might want to see it, though. This is our SketchUP drawing to show the client what they will be getting. Not exact, but very close. Oh-btw, this cafe has fabulous home cooked meals! really fresh and yummy. We are completing the FRESH MARKET cafe’ in Tupelo, Ms this week. I’m very excited about their opening. We have gone through a lot to get there, but it has been a great experience. We were given a building that, in any other circumstance, would be a tear down situation. It was a mess! A big one. 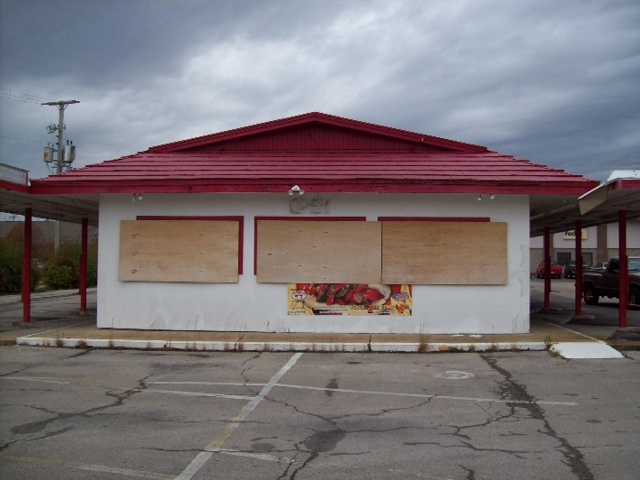 It had been a fast food restaurant and ignored for a year or two after it closed. I will tell you about the phases of this exciting but crazy project. This first photo, if I can find it, is the way we found the building. EXISTING BUILDING -a year ago. This is actually showing the “good” side of the building. We did reuse the structure. Gutted the interior and started over. So I suppose one would call this an adoptive reuse? Maybe not. But it is a very good “redo”.